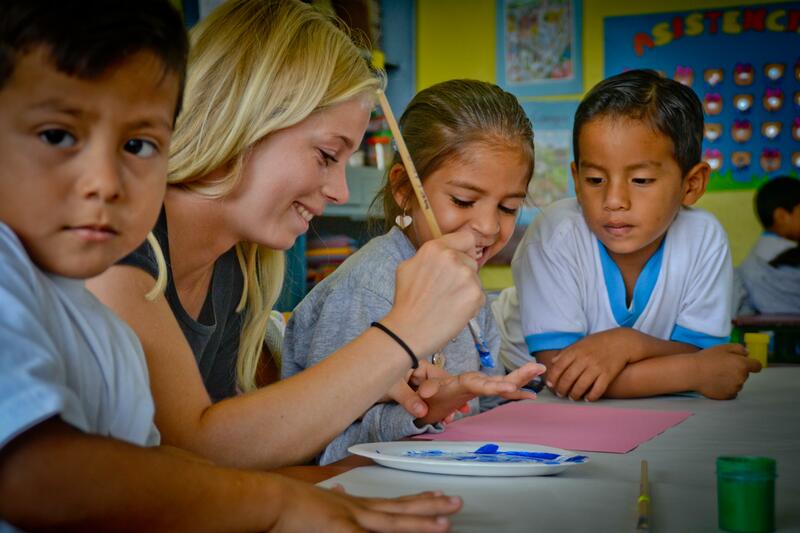 Join us as teaching volunteer in Ecuador and help improve the conversational English of local children. 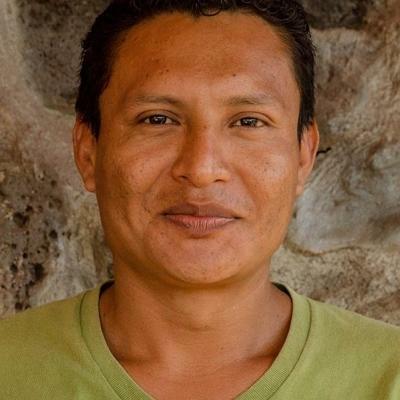 In the Galapagos, you’ll work alongside teachers in kindergartens and schools and support their work. This is a great way to get practical classroom experience, which could help your future career. Tourism is a massive industry in the Galapagos Islands because of its incredible biodiversity. This means that people need to understand and speak English to get access to more job opportunities. By teaching conversational English, you’ll give children the skills they need, and give them more confidence with speaking. You’ll get practical experience putting together lessons and activities to get the children speaking English and learning new words. The Galapagos Islands are also a truly unique destination many visit, but few get the chance to live in for a while. As a teaching volunteer in Ecuador, you will live with a local host family, or in shared accommodation with other volunteers. 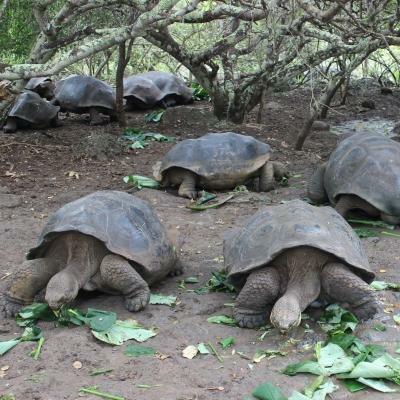 Become one of the lucky few who can claim Galapagos as a home away from home! Is a volunteer Teaching Placement in Ecuador right for me? This project is perfect for anyone looking for teaching experience. You’ll get practical experience in a different classroom setting, and work with qualified teachers. If you’re interested in becoming a teacher, this is a fantastic addition to your resume. Plus, it will give you plenty to talk about in a job interview or college application. This project is open to anyone with an excellent command of spoken English. You don’t need any teaching experience, as you will be working alongside local staff. We also run workshops for all our Teaching volunteers, where you can exchange ideas, get advice, and discuss challenges. 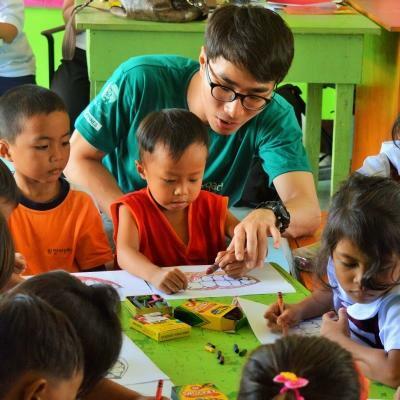 While English is the main focus of this project, you could also volunteer to teach an extra subject or two that you feel passionate about. Speak to your supervisor about this. 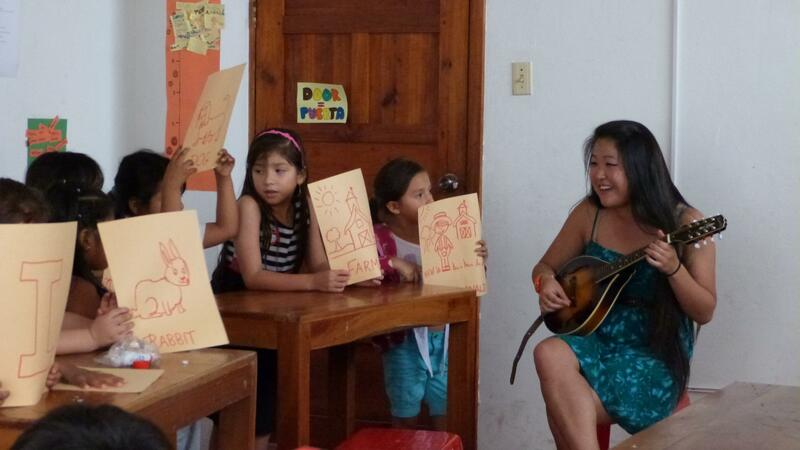 Our volunteer Teaching placements in Ecuador run throughout the year. You can join at any time from a minimum of two weeks. We encourage you to stay longer to make a bigger impact. As a volunteer teaching English in Ecuador, your main focus will be to teach conversational English to young children at government schools. You will work alongside local staff and teachers, who will be able to offer you support and advice. 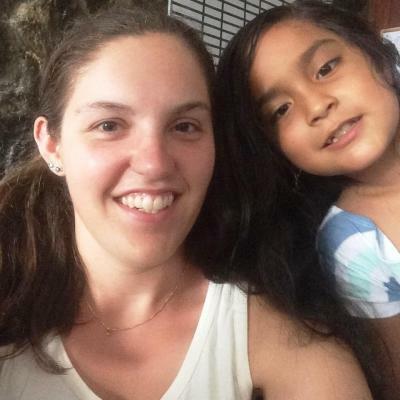 As a volunteer English teacher, you can help nurture the new generation of young Ecuadorians to be confident speaking the language to anyone they encounter. You will do this by helping improve pronunciation, phonetics, and grammar. We also set up conversation classes to improve the student’s oral skills and capacity to participate in conversations. You and other volunteers will play an important role in facilitating these. If you have skills or knowledge about teaching other subjects, you can volunteer to assist local teachers with those too. Some ideas include additional languages (e.g. German or French), IT, math and science. During the school break in March and April, you can get involved at our summer camp and focus on teaching English, art, and sports to local children. Sports lessons may include swimming, basketball, and soccer, but you can also teach any other sport you're interested in. The children who attend the camp are between the ages of 3 and 11. We also have an English Center at the Projects Abroad Offices. You can choose to teach conversational English to both adults and children here. You can do this exclusively or combine it with working at a school. You will be based on the island of San Cristóbal. It forms part of the Galapagos archipelago located about 1,000km from mainland Ecuador in the Pacific Ocean. With many cobbled streets and an attractive wharf area, Puerto Baquerizo Moreno is a charming village, with much to explore during your evenings off. It’s home to a couple of pristine white beaches, but only two are for humans. The others are all devoted to the protection of the local sea lion population. We have two placement options. You can teach conversational English at the Projects Abroad English Center, or work as an assistant teacher in a government school. You can also opt to do both. If you join us during your school break, you’ll teach at a summer camp for local children. If you enjoy spending time outdoors, you may consider taking weekend trips to other parts of the island. 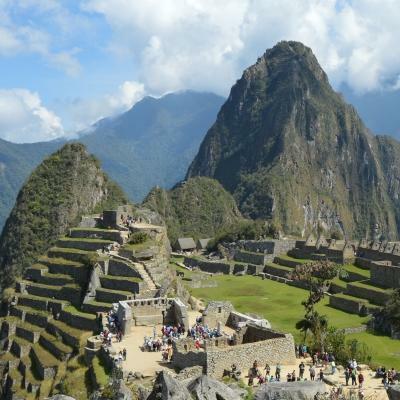 What will my typical day be like working as volunteer English teacher in Ecuador? The exact details of your day will depend on your placement. If you teach conversational English at the Projects Abroad Office, your working day will normally start around 12pm and run until the early evening. During these lessons, you will focus on your student’s spoken English and help improve their capacity to have conversations. You can do this by creating possible scenarios and start a casual conversation in this context. The key is to help the student feel as comfortable as possible. If you opt to teach English at a local public school, you will normally work from about 7:30am till 2pm. While these lessons will include conversational English, you will also help children improve punctuation and grammar. You also have the option of doing both, which means you can work at the school in the morning and at our offices in the afternoon. 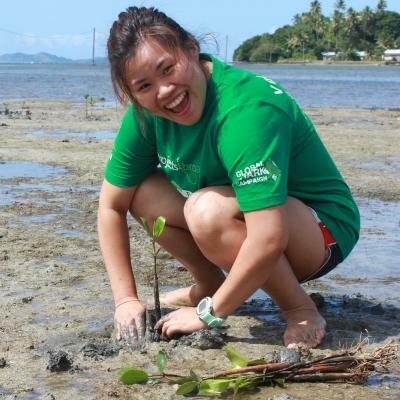 Evenings and weekends are your free time to explore the island with your fellow volunteers. Also, be sure to make the most of mealtimes with your host family to learn more about Ecuador’s cultural and life on Galapagos islands. What are the goals and impact of this Teaching Project? The main goal of this project is to provide educational support at under-resourced schools and communities. This will help us reduce inequality in education. Over the past few years, Ecuador has made great progress toward providing elementary school education for all. The youth literacy rate currently stands at 99%. However, a huge gap remains between the quality of education provided in public and private schools. Rural schools lack of resources, and the students to teacher ratio is high. Teachers desperately need support with classroom management. In addition, tourism is a massive industry in the Galapagos Islands because of its incredible biodiversity. This means that people need to understand and speak English to get access to more job opportunities. We need your help to improve English and support local teachers. By teaching conversational English, you’ll give children the skills they need, and give them more confidence with speaking. Experience a teaching volunteer opportunity in Ecuador and help us achieve these goals. As we got to know the kids, it was easier to know which activities they would respond well to and which areas of English they needed to work on the most.